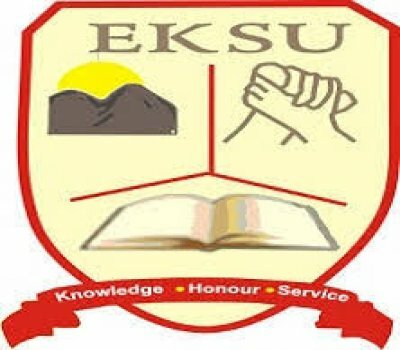 Ekiti State University (EKSU) has finally open doors for application to qualified students / candidates for the 2019/2020 academic session, 1st or second choice candidates who seek for Ekiti State University (EKSU), Admission 2019/2020 should see requirements, Application Process and be Ready for the Unified Tertiary Matriculation Examination. VERY IMPORTANT: The Ekiti State University (EKSU) Post UTME Admission Form for the 2019/2020 is not available at the moment…we will advice that you to stick around or better bookmark this very page once the EKSU Post UTME Admission Form 2019 is out this page will be updated immediately. While waiting for the Ekiti State University (EKSU) Post UTME Admission Form/DE Screening Exercise for the 2019/2020 see how it was conducted previously. Ekiti state university (EKSU) screening form is sold for just 2000 (two thousand naira) although the form is not yet out now but that is the normal price. The institution would have sold it more than that but the regulatory body has warned all institutions not to sale above 2000. Please note that this fee is not refundable. EKSU Post Utme Date 2019/2020 . EKSU screening date is not yet out for NOW, the date is yet to be concluded as at the time of writing this article. we expect it to be out just few weeks after jamb must have released all results. You have to chose the institution as your first or second choice. EKSU is among the few institutions that accept second choice candidates. Finally you must have 5 credit pass in your O level results with all relevant subjects included. There is no long protocol involved here. Immediately the system loads, click on 2019/2020 UTME/DE Application. At this point a space will be provided for you to input your details such as your full names, jamb registration number. Payment: after you must perform the above, click on make payment, and the system will automatically take you to EKSU payment page. Select card type, input card details and make the payment. Don’t forget to print your receipt. Wait a few minutes after making your payment and you will be redirected back to EKSU post utme registration page. Fill all necessary details upload your passport which must be a recent one.. If you have your results upload them. Finally cross check your information before submitting it, don’t forget to print out your slip. When Will EKSU Post Utme 2019/2020 Be Released Online? Recall that we told you that the form is not yet out? expect the form just few weeks after jamb exams. Now that the form is not yet out its time for you to quickly study past questions and answers effectively, don’t slack back because EKSU is competitive . Thank you so much for taking a Tour on this post (Ekiti State University (EKSU)) we have take time to officially dish out Top Information and Now it’s turn to show us a little gratitude. Help us spread the information by making use of the sharing button Below, and don’t forget to subscribe to get great News and other Information, we wish you success in all your endeavors…Stick around for more Info.